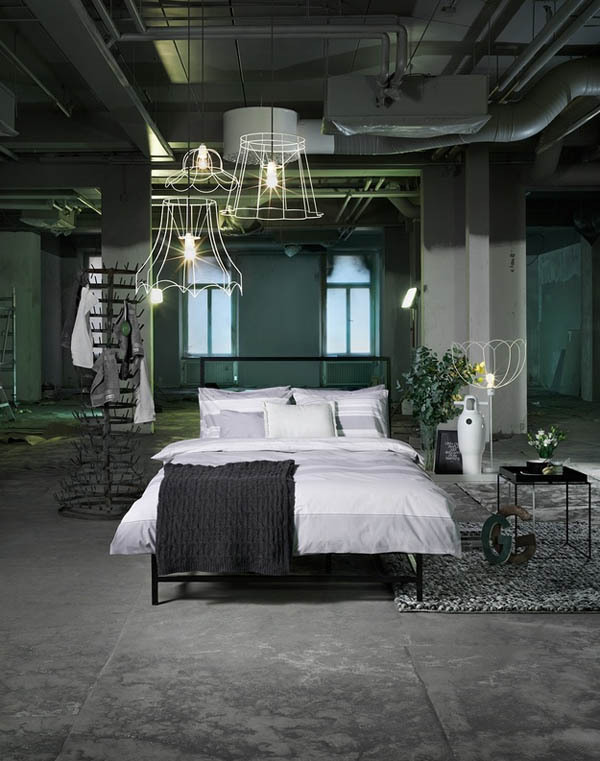 Magical, ethereal hanging lights complemented by a floor one immediately grab and keep attention in this basement bedroom with a distinctive industrial vibe. An area rug, flowers, and gorgeous bedding soften the look of the space and add extra visual interest and appeal. Definitely a creative transformation, which leaves you spellbound! When I was talking about baldness in the previous example, I meant something like this! Could you imagine having a second bedroom for guests in your house right inside your basement? Apparently, some of us can, and have done a good job! Fabulous and just a tiny bit eccentric!